While the beaches of the Outer Banks draw many visitors year after year, so does the Currituck Club Golf Course! This gorgeous course boasts meticulously manicured lawns. It also highlights the sweeping views of coastal landscapes, maritime forests, and charming beach homes. Grab your favorite selection of clubs and hit the green. You don’t want to miss an opportunity to try your luck at one of North Carolina’s best golf courses. Make a day at this Rees Jones course part of your Outer Banks vacation itinerary. Spend the day golfing and treat yourself to a delicious meal at the on-site restaurant. 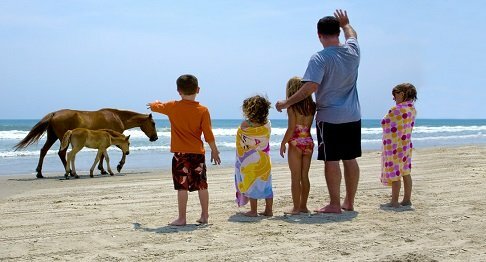 For more great ideas on what to do during your next OBX getaway, take a look at our free vacation guide! The Currituck Club Course appeals to those looking for a few rousing rounds of golf. 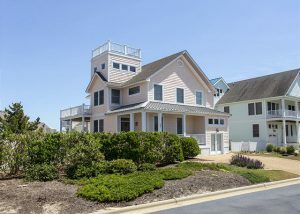 It allows for ample opportunities to enjoy the gorgeous weather of the Outer Banks and the stunning beach views. 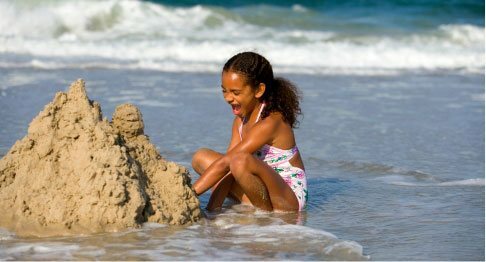 Soak up the rays of the North Carolina sun. Then, while you’re scoping out your next move, admire the beauty of this quaint coastal region. Designed by Rees Jones, this 18-hole course opened in 1996 and continues to be one of the best OBX golf experiences. It’s open to the public where guests can rent golf carts and spend the day making their way across the map. Get your scorecard ready and prepare for an exciting day! Before or after taking part in a game or two on this aesthetically pleasing course, enjoy a bite to eat at the Hunt Club Tavern. Stop in for breakfast to prepare for a long day in the sun. The omelet or breakfast burrito make for a tasty morning meal. Drop by for lunch after a few rounds and restore your energy before checking out all the exciting things to do in the Outer Banks. Opt for a blackened chicken sandwich with club-made chips. Yum! Stay in this gated community with the beautiful Currituck Club Golf Course in your backyard. 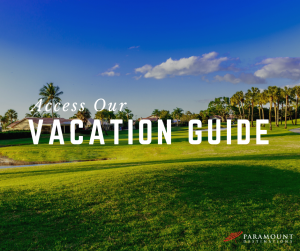 Paramount Destination offers an array of beautiful homes in which guests and their families can have access to luxury amenities, advanced tee times on the course, and easy access to the nearest beach. 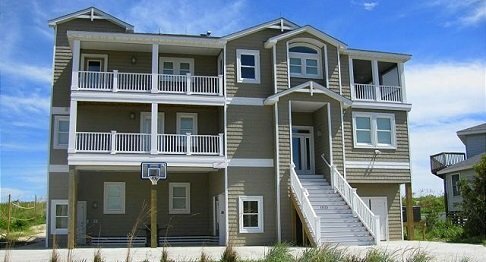 The sweeping views of the ocean and the Currituck Sound will make you wish you could stay forever. Stay in our Par-Tee by the Sea home for the ultimate golf-centered vacation. Make your reservations to play on the beautiful 18-hole course that is beautifully landscaped across this resort. What are you waiting for?